I just wanted to send another update on Dr. Sidney. He has back shoes on now and is figuring out bending and leg yielding without a problem. I still love his natural balance at the canter and with his hind shoes he has really started to step out and push from behind at the trot and is even starting to figure out that stretching at the feels good. To have a horse in your life is a gift. In the matter of a few short years, a horse can teach a young girl courage, if she chooses to grab mane and hang on for dear life. Even the smallest of ponies is mightier than the tallest of girls. To conquer the fear of falling off, having one’s toes crushed, or being publicly humiliated at a horse show is an admirable feat for any child. For that, we can be grateful. Win Photos- Available for Everyone! 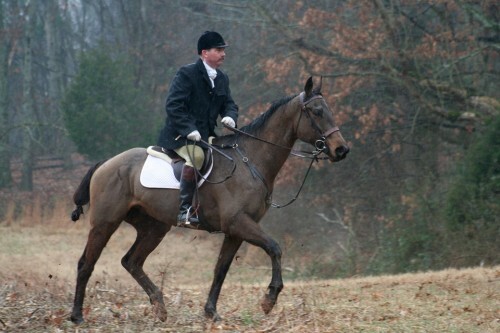 Ex-race horse Rap It Up is enjoying his second career as a foxhunter in Alablama with his owner David Goodman. Marvin has gained weight nicely, and the vet wants him to gain another 200 pounds! With the added weight and cooler temperatures, Marvin is feeling more ambitious. Nevertheless, he is always safe and sane. I can’t say enough nice things about him. It has been a great weekend for Rap and for me. 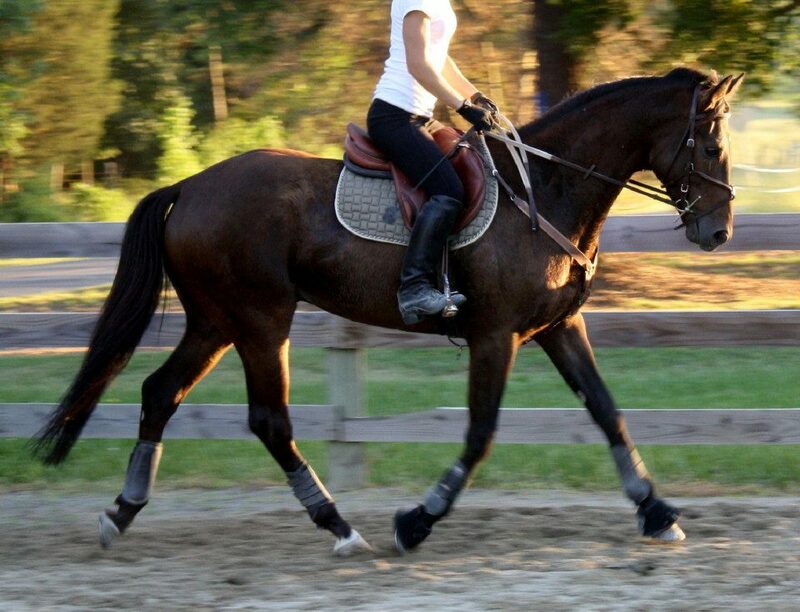 This has been one of those times when as a rider, you reflect on everything that was accomplished by your horse and are very proud of the progress that he has made. It is that great “satisfied” feeling that keeps all of us doing what we do, Ride! Ride! Ride! Rap is great and I think will do nothing but get better!